Selling or Renting Property in Belfast? 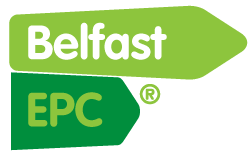 Before you are legally allowed to advertise or erect a For Sale sign, you must be able to display an Energy Performance Certificate EPC, for a fast and accurate EPC within the Greater Belfast Area, contact us now to get your property on the market ! Call, email us, or visit our contact page for a quote, for Industry rates for Estate Agents, Housing Schemes and multi property owners.